Classic styling with turned legs, features one drawer and shelf. 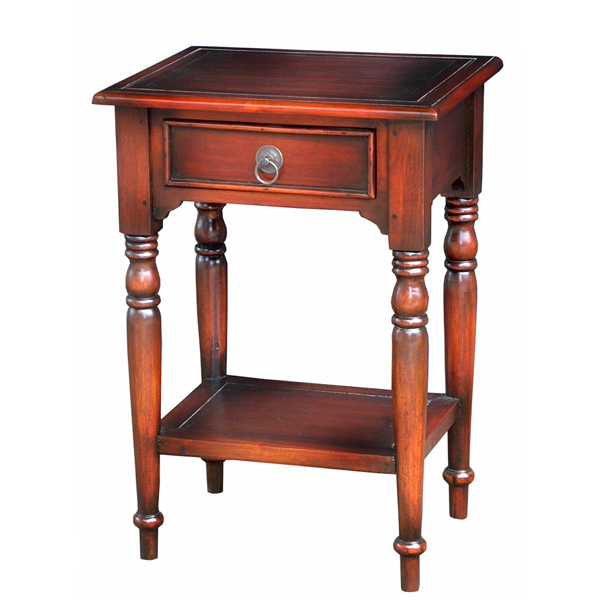 Shown in Aged Classic wood stain finish. Hardware is selected to complement the finish. Handcrafted from solid premium mahogany.